Our collaboration started off debating each other’s research, over a midday cup of chai tea latte at a Starbucks in New York City. 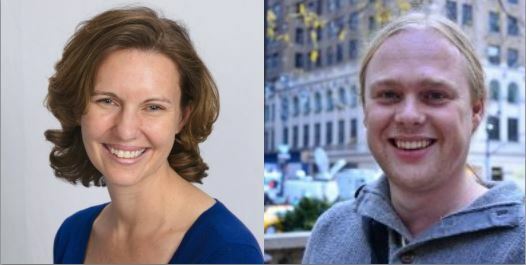 NYC is the home of The Luxembourg Income Study Center at the Graduate Center of the City University of New York (LIS Center), where Rense Nieuwenhuis served as a visiting scholar and Laurie C. Maldonado is currently a predoctoral scholar. Nieuwenhuis had just published his first article, in the Journal of Marriage and Family, which showed that while work-family reconciliation policies facilitate maternal employment across 18 OECD countries from 1975 to 1999, family allowances formed a disincentive for maternal employment. This article is now part of a completed dissertation on “Family Policy Outcomes”. Maldonado co-authored her first piece on “Worst Off – Single-Parent Families in the United States”. In this report, she had debunked the myth that single parent families in the United States are poor because they are not employed. Instead, they are poor being employed in low wage jobs, and it is the redistribution through social assistance that is failing single parents in the U.S.
And so began our collaboration and the idea for our first joint paper titled “Family Policies and Single‐Parent Poverty in 18 OECD Countries, 1978‐ 2008”. In this paper, we found that single-parent families have substantially higher poverty rates than two-parent families across all countries. This is not a surprising finding. It is well established in the literature. Single-parent families have fewer resources than their two-parent counterparts. Our main contribution to the literature is our finding that family policies are beneficial for all families with children, and especially so for single-parent families. Longer parental leave, a smaller proportion of unpaid leave, and higher amounts of family allowances reduced poverty among all families, and to a greater extent among single-parent families. Paid leave more effectively facilitates the employment of single parents, thereby reducing their poverty risk. Moreover, family allowances reduce poverty among single parent families after taking into account important factors such as whether they are employed and how many hours they work. This suggests that while facilitating the employment of single parents will contribute to reducing their risk of poverty, strategies to reduce poverty that are solely based on creating ‘more jobs’ will prove insufficient. Single-parent families are less likely to be poor in countries that have family policies. The U.S. is the only country in the study without a national paid leave policy and without a national family allowance program. The United States is the outlier. Indeed, this is sobering news because the data suggest that effective solutions have been developed, but these are not available in the U.S. Some argue that the U.S. does provide income tax credits to many working low-income families, but while we do not contest that these might be helpful indeed, we did account for these in our analyses. This study used income data from the Luxembourg Income Study (LIS) Database combined with family policy indicators from the Comparative Family Policy Database. The sample covered 514,019 households with children, in 18 OECD countries, from 1978-2008. We hope to stimulate further discussion, and so, we are organising a stream on “The Social Policy Context of Single-Parent Families” for the ESPAnet conference, September 3-5, 2015, Odense, Denmark. 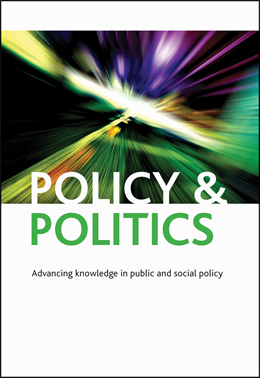 We invite theory-driven empirical studies on social policies that affect single-parent families. We encourage studies to address not only taxes and transfers but also other types of social policies, such as family policies, early child education, childcare, health care, employment and labor market regulations. In addition to studies that emphasise income poverty, we welcome those that examine various outcomes such as inequality, material deprivation, and child wellbeing. The call for papers is available on the conference website. Abstracts are due 10 March to the conference organisers. We’re interested in understanding policies that improve the lives of single-parent families. If you are too, let’s talk over a cup of chai tea latte. Reblogged this on Curving Normality.